Time is ticking and this is the only factor to consider. 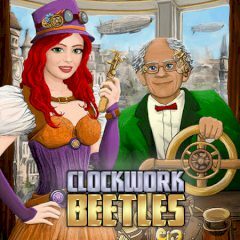 You need to repair beetles and add time to your counter. Make some points! Repair beetles and let them fly again. Match parts with each other and make at least three in a row to get decent amount of points to continue your mechanical quest!